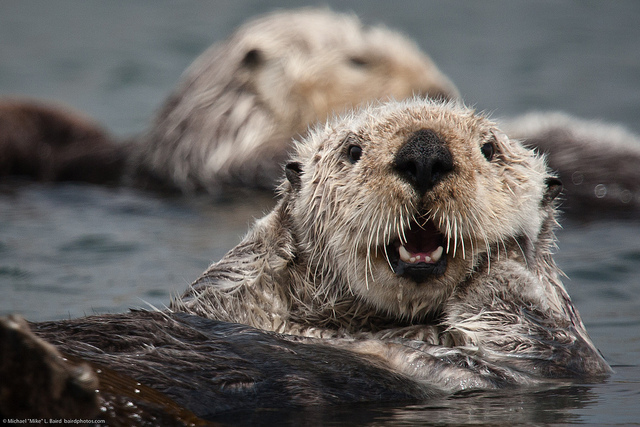 It’s the 10th annual Sea Otter Awareness Week! September 22nd -September 28th we celebrate all things sea otter! Many organizations have special programs scheduled to educate about the otters and their need for our conservation efforts. Organizations include the Monterey Bay Aquarium, The Oregon Zoo and the Alaska Museum of Science and Nature. There are only 2,900 sea otters left in California. 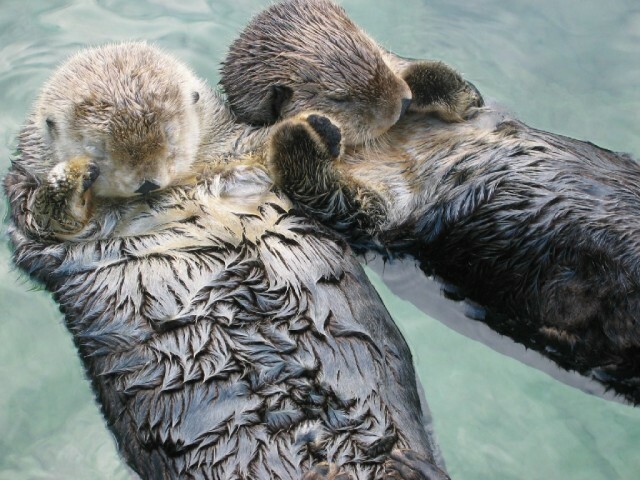 Sea otters are social animals and live in groups called rafts. Some sea otters eat so many sea urchins in a lifetime that their bones turn purple. More stuff on otters in a previous HoneyBees post. Want more otters in your life? How bout 365 days of “otter raft antics awesomeness”? Back the Wild for Otters Kickstarter campaign here: Wild For Otters . These folks are raising funds to put a camera up which will film the otters everyday and stream it live to your home! The campaign only has 6 days left!! They, and the otters need your help! A classic video- search on YouTube if you haven’t see it yet. *Thank you to the photographers of these fab otter moments for use of your work in this post.